Australian Native Tree removal and pruning. ​Native Australian trees come in variety of shapes, sizes and colours. But what they do have in common is their ability to adapt to their surroundings and easily grow in different environments. Over the years, the native trees have adapted to the conditions of the Australian local environment and that is the reason they thrive better than a plant introduced from another region. Most of the native Australian trees are a treat for the eyes, and an integral part of the native landscape. These trees not only provide food and habitat for local native animals but also many environmental benefits such as preventing soil erosion, combating salinity, saving endangered animals and providing clean fresh air. 1. Gum Tree: Gum Trees are the most iconic among the Australian Native trees. They are a great source of Eucalyptus oil that has a wide range of applications including treating cold and flus, deodorising, etc. The Gum Tree stump of Gum tree is it’s another prominent feature. It is used for making beautiful flooring and furniture. There are as many as 900 varieties of Gum trees. To name a few are Trilliana’s, Forest Red Gum’s, Spotted Gum’s, Tallowood’s, Iron Bark’s Stringy Bark’s, etc. Gum trees are considered to be dangerous from their basic nature. They can be fatal for they are known to drop their branches that weigh hundreds of kilograms which are more than heavy enough to destroy whatever is in their path. If you need any tree service with respect to the gum tree on your property, give us a call today. We are the best in tree services in Brisbane and have a team of highly trained-staff and many years in the business. 2. Flame Tree: The Flame Tree is native to the subtropical north eastern region of Australia and is a great tree for native gardens. It is a beautiful fast growing tree that displays a rich striking look of florescent red flowers coving the entire tree in the spring. It is because of its dazzling look that the tree is now cultivated all over the world. A Flame Tree can reach a height of 40 meters and is deciduous, shedding its leaves after the dry season. The large glossy green leaves provide cooling shade while the interesting trunk can become a focal feature of its own. Contact us for any requirements of the garden services including maintenance of hedges, trees and shrubs. We assure you high quality services combined with our years long experience expertise and availability of tools like, lawn mowers, stump grinders, etc. 3. Macadamia: Macadamia is a tree that is native to coastal eastern Australia. The Macadamia tree is self-pollinating with its round, hard shelled nuts ripening in late summer to autumn. Macadamia Nuts have long been a food source for Aboriginal Australians. A macadamia tree can be propagated from seed but will not bear nuts during the initial six years. The two common species of Macadamia tree often found in domestic gardens throughout Brisbane are Macadamia Integrifolia (Smooth-Shelled Macadamia Nut) and Macadamia Tetraphylla (Queensland Nut). 4. The Palms: Palms are beautiful trees that have the potential to enhance the look of any property. But as they say, nothing lasts forever, so are the trees. There might be times when a palm tree can get pesky enough to threaten the nearby structures or can grow out of control and spoil the aesthetics of your garden. You may even plan to remove this old tree and make place for some new plants. Such cases can encourage you for your palm tree removal. But do you know the most important point to remember with a palm tree removal? Yes, it is its sturdiness. A Palm tree is tough and need the right way to get removed failing which it can pose a considerable risk to people and property alike. Palm trees can be very dangerous when their fronds fall to the ground especially if they are planted in a region where they can land on somebody, causing considerable harm. In this situation, total removal of the palm tree is recommended to ensure the safety of people first. Another problem with Palm trees is that they are prone to being partially uprooted when planted incorrectly or when soil erodes. And when that happens, the only logical solution remains the complete tree removal as it is very expensive to transplant a palm. 5. Golden Wattle (Acacia Pycnantha): Golden Wattle is one of the most recognizable trees for the majority of the Australians. It is the Floral Emblem of Australia and it can grow between 2 and 8 meters tall. It is generally found in South Eastern Australia and has a certain degree of frost tolerance. 6. Eucalyptus: Eucalyptus is another Australian Native Tree that can be found in both shrub and tree form all over the country. It grows very fast and is often accompanied by a koala or two. It is generally loaded with bright red blossoms in summers with the Summer Beauty fading off with lovely pink flowers. Eucalyptus is one of those natives that are expensive but its spectacular blossoms prove that it is worth it. It grows to a maximum 6m height and is dense with no branch drops. 7. Willow Bottlebrush (Casllistemon Salignus): The Bottlebrush is native to North Eastern Australia and is well known for its creamy pink flowers. It is the true Australian native and it can flourish in both wet and dry weather conditions. It can grow up to 10 meters in height. 8. Grevillia: Grevillia is another native Australian tree that is very popular among the garden plants all throughout the country. Besides being loaded with bright petal-less flowers, it is shorter in length, anywhere between 50 cm and 35 meters tall. There are over 360 species of Grevillia. 9. Lilly Pilly (Syzygium Smithii): Lilly Pilly is another smaller native option for the garden and is mostly found on the East Coast of Australia. In its shrub form, it only grows between 3 and 5 meters tall. As a tree it can grow up to 20 meters high, with both shrub and tree sprouting edible maroon-coloured berries. ​Whatever variety of tree it is, we have expertise with all kinds of tree services. Whether its tree removal, tree lopping, tree pruning, garden pruning or stump grinding, we use the most trusted techniques for our tree services. We are a fully-insured tree care services team and are particular about the way we work. We make sure that you are safe and secure and take proper care for the well being of you and your property. 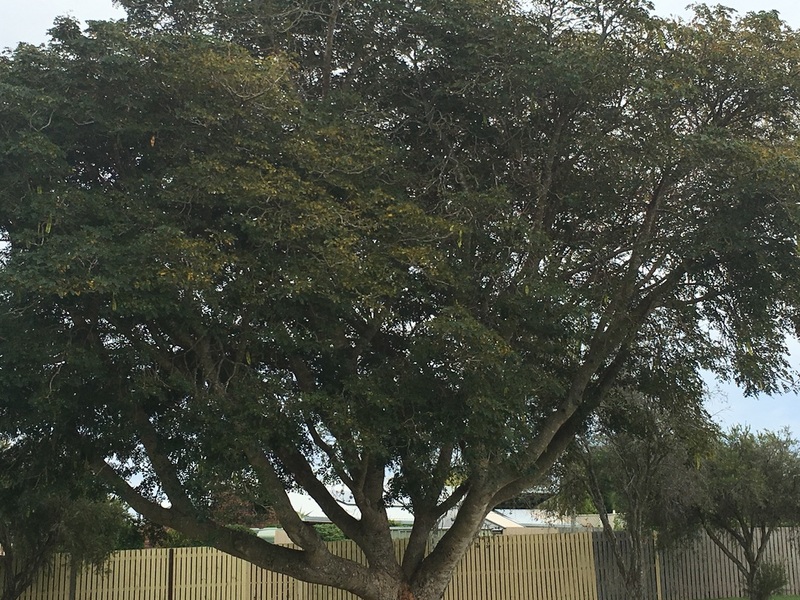 For any service in the Brisbane area, give us a call today to learn more about your tree care options. We offer only the best tree care in Brisbane and assure high professionalism in our work. We do only the safest and finest work, and our commitment to satisfaction makes us the very best tree loppers in Brisbane. Contact us for any kind of tree services today! 10. Antarctic/Australian Beech (Nothofagus Moorei): Australian beeches are large natives, typically growing to around 25 meters tall. They are generally found in high altitudes and wet climate of northern New South Wales and southern Queensland. They are large in size and expose moss-covered roots. 11. Elaeocarpus Eumundii (Eumundi Quandong): Elaeocarpus Eumundii is one of those native Australian trees that are just perfect to grow down the side of your house like a hedge. They are tall in size, approximately 6-7m tall and thin with a width of 1-2m with good dense foliage. These trees are aesthetically attractive with their glossy green leaves and pink new growth. 12. The Cupaniopsis Anacardioides: The Cupaniopsis Anacardioides is also popularly known as a Tuckeroo, Carrotwood, Beach Tamarind and Green-leaved Tamarind. They are small lollipop-shaped trees that are good for the side of the house. They are great alongside pathways as the lower branches can be trimmed for passers-by. These trees are native to Brisbane and have dark green glossy leaves that look great with any planting scheme. They are in all probability, the perfect tree for Brisbane gardens. 14. Delonix Regia (Poinciana): Poinciana is an iconic Brisbane tree with magnificent species. They provide proper shade and are loaded with vibrant colour flowers of red and orange, throughout the summers. The Poinciana grows slowly into a tree and is quite affordable as well. It has a nice trunk and has branches that extend off as high as possible. They can grow up to 15m and are known for their large sprawling canopies. The Poinciana is best suited for the back corner of a garden providing an umbrella canopy. Be aware that Poinciana is more prone to seed pods and flowers droppage, so keep this tree away from the house and the driveway. 15. Pine Trees/Conifers: Pine trees are synonymous with Christmas. There are over 100 varieties of Pines, to name a few are Norfolk Pines, Hoop Pines and Slash Pines. The Pine trees are known for their straight and narrow trunks, making them ideal for milling. These trees are reproduced from seeds in a cone and can grow into giants, up to 30m.